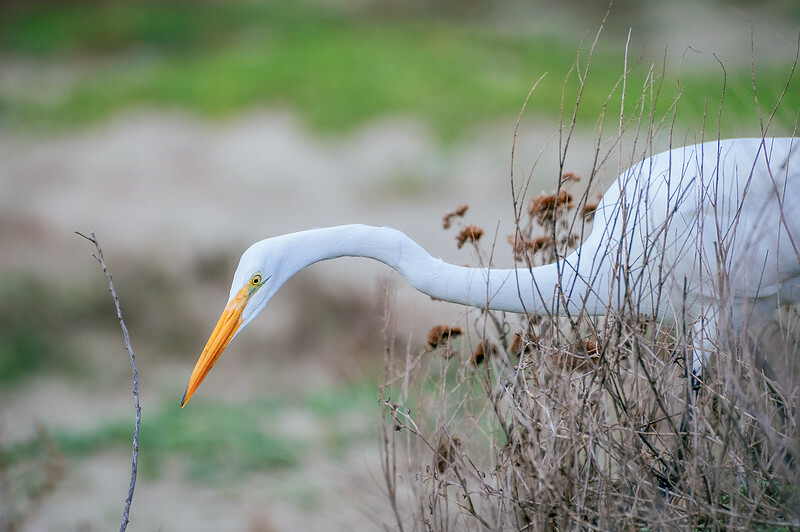 Yeah, I was kinda obsessed with the egret that was hopping around the beach in Cayucos. Top photo is the best. 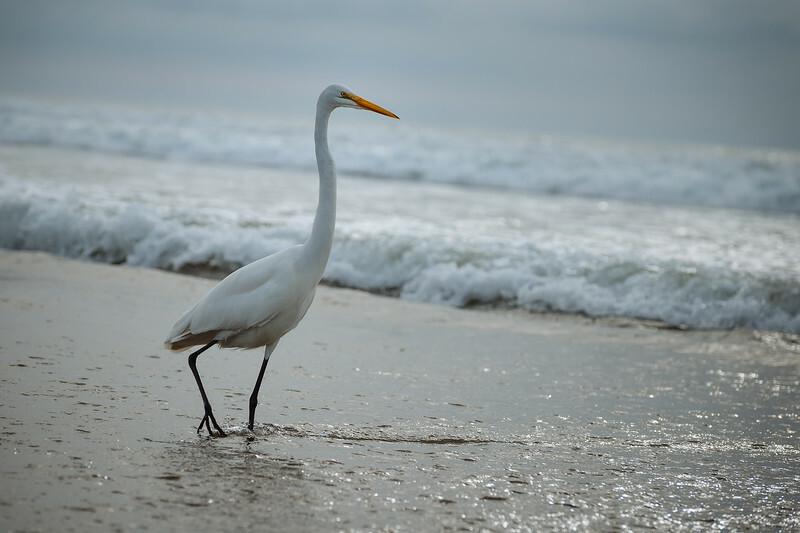 Nice lines, well exposed and simple: egret and surf and that's it. 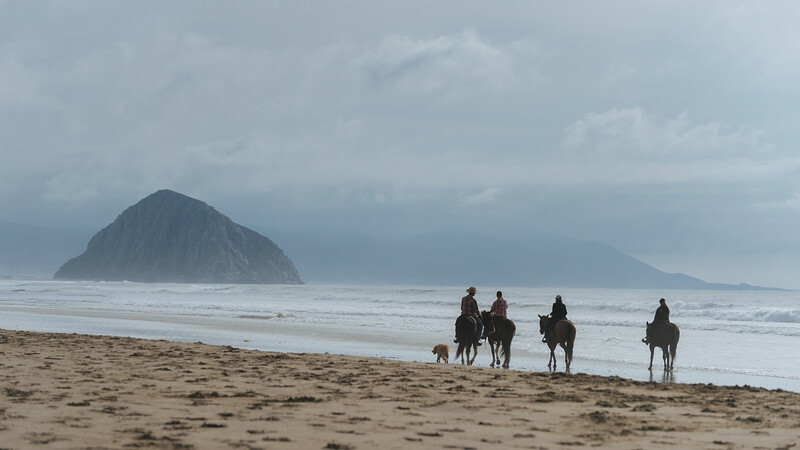 Horse photo with Morro Rock is pretty good from a composition point of view and the 16:9 crop helped remove some extraneous sky and sand. Light was just so-so. 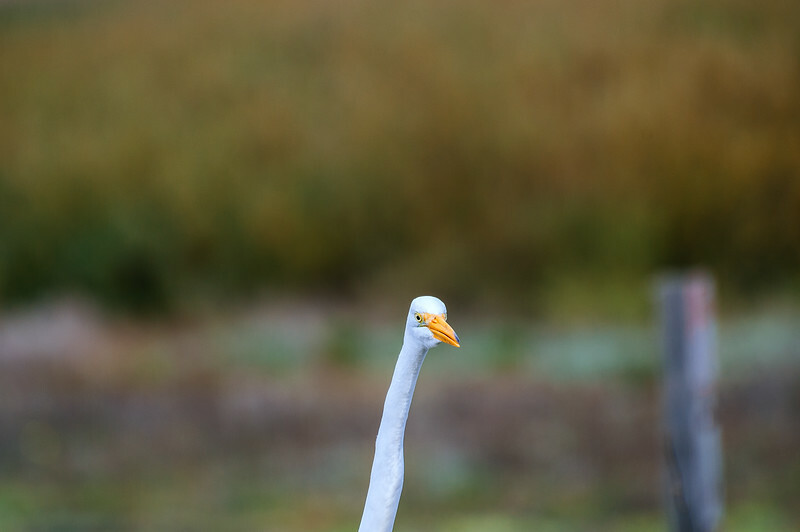 The photo of just the egret's head and neck was a good idea but would likely be better without the fence post in the right side of the frame. Pier photo was taken from motel balcony. Nice color in the morning sky but otherwise a nice photo but nothing special. Last egret shot is nice and sharp. 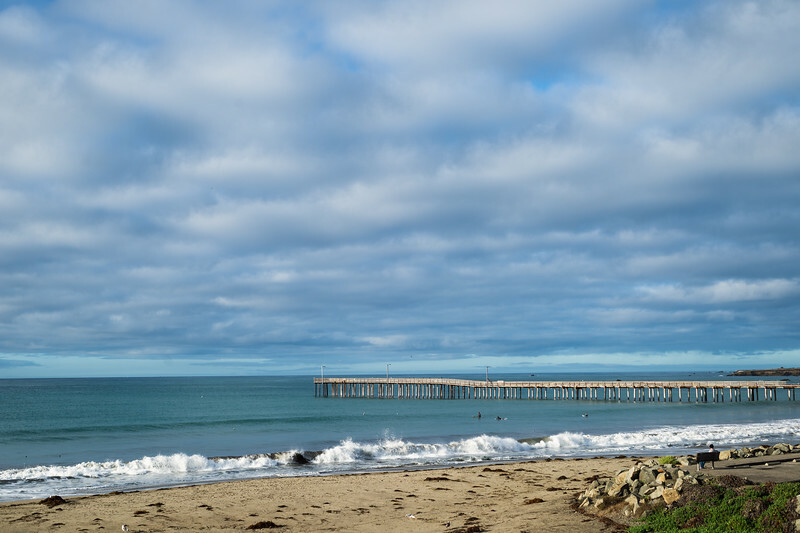 Shot that one in DX mode on my FX camera, meaning the 70-300mm was more like a 105-450mm lens while a regular 16mp RAW image is knocked down to 7mp or so. I think it's a good trade-off when you're not planning on printing huge -- you get a few more pixels on the main subject and can still print a very good 8 x 12. All my galleries are here along with info on prints and licensing.